Happy Friday everyone! If you follow me on Instagram, then you have seen the news...I am moving to Utah to start a job at Stampin' Up! as a concept artist! I am beyond excited about it! So I have been very busy this week getting things like an apartment arranged so that I can settle in as soon as I get. This weekend will be filled with cardboard boxes as I begin to pack and try not to let the stress of moving get to me. In case you are wondering, I am still planning on continuing to share projects with you here. 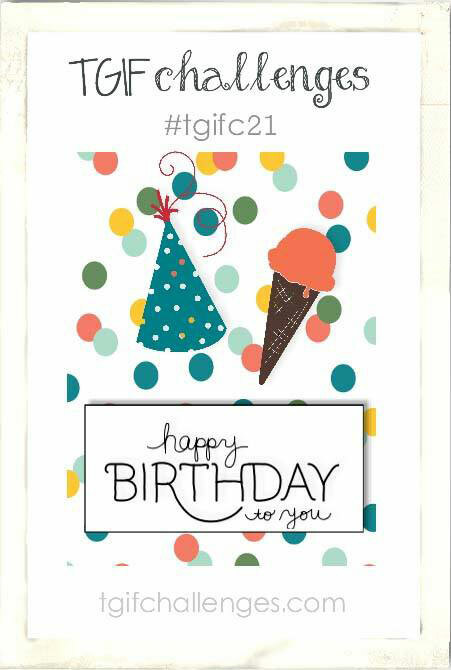 Speaking of which, there is a new challenge on TGIF Challenges today and the theme is birthday! 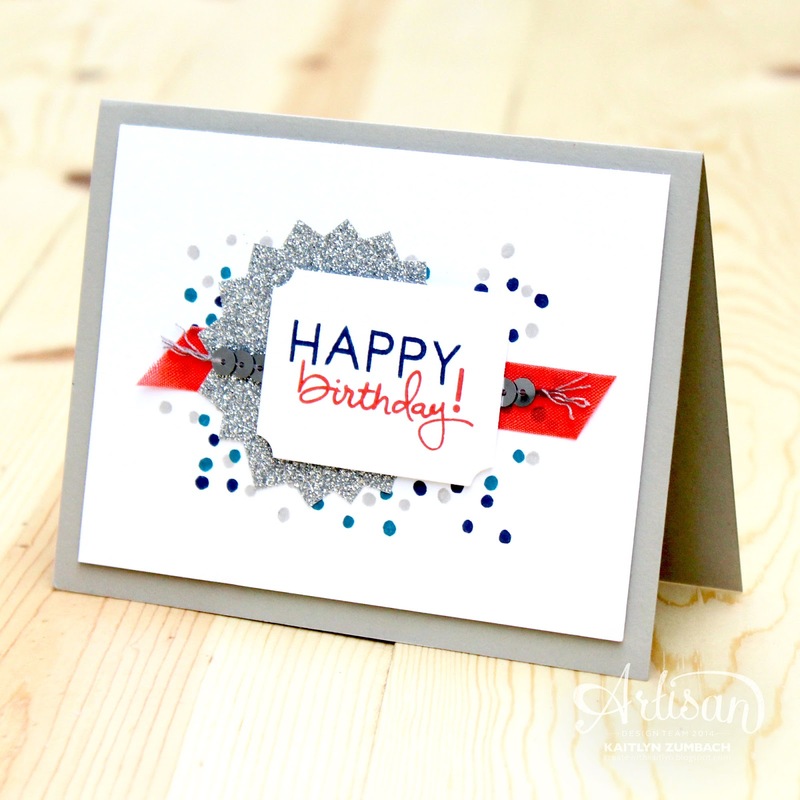 Birthday cards are always great to have on hand, and one of my favorite birthday stamp sets is Endless Birthday. I love that you can build your own phrases with this set. 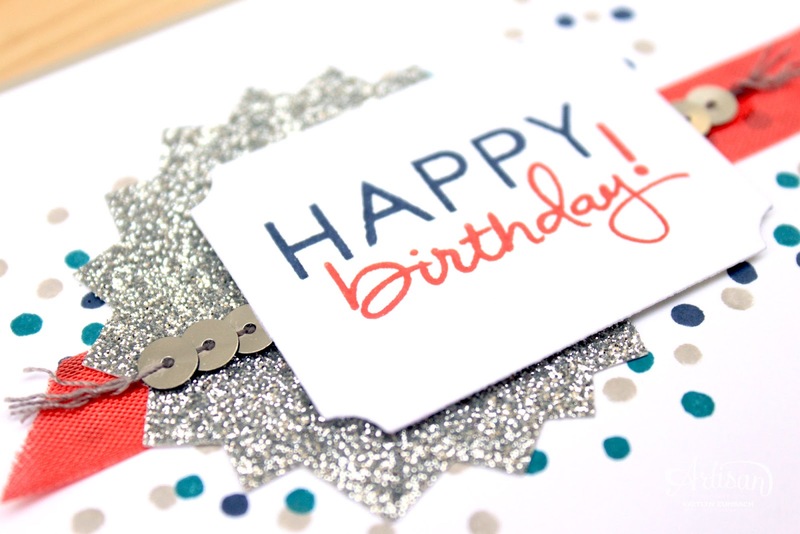 On this card I actually paired the "birthday" from this set with letters from the Back to Basics Alphabet Set so that the "happy" would be nice and bold. The confetti stamp creates a fun background and interesting background with Sahara Sand, Night of Navy, and Island Indigo ink. The glimmer starburst was made using the Triple Banner Punch (I really need to do a tutorial on this...perhaps after I move) and provides a fun dose of sparkle with the Silver Sequin Trim. Overall, I really love this card. It is fun and happy and could easily work for anyone's birthday! Don't forget to join the challenge yourself over on TGIF Challenges. We always love to see what you all create! No way! I don't have a team or very large customer base either, so don't let that stop you from seeking a creative position. If you have a dream job, go for it! Wow, congratulations! So exciting - new job, new city, new friends. Congratulations on your new position as SU Concept Artist! What a fabulous new adventure. I am so excited for you on your new adventure. You are so incredibly talented and I am sure you will achieve great things! Congratulations!